Welcome To Guest Blogger Cheryl Jackson! Cheryl’s long and distinguished career as a journalist (you’ll recognize her most recently as the host of the TVO Parents show) plus her experience and empathy as the mother of three make her an articulate, passionate spokesperson about issues affecting the happiness and wellbeing of all children. Join us as Cheryl discusses the importance of standing up to protect one another. We’ve all heard about bullies, targets and bystanders. Bullies hurt targets and bystanders let it happen. But there’s a fourth group we should consider as we think about our kids and the people around them: the upstanders. An upstander is “a person who defends or stands up for a cause or a belief” according to the Collins dictionary. In contrast to a bystander, who is passive and does nothing to help when someone is being bullied, an upstander defends those who are being mistreated. Samantha Power used the upstander concept to describe those who tried to stop or to document genocide. She’s a journalist, executive director of the Carr Center for Human Rights Policy at Harvard and the author of “A Problem from Hell: America in the Age of Genocide.” She’s also just been nominated to be the US Ambassador to the United Nations. I hadn’t heard the word until a couple of weeks ago when my child’s teacher mentioned it. At an information session, she said the school encourages students to be upstanders – to stand up for each other, their community and their environment. When I was a kid, we called this ‘sticking up’ for someone and it often meant acting alone. We didn’t have the language of targets, bullies, bystanders and upstanders. Today a school or group can foster a culture of empathy and fairness where everyone can – and should – be upstanders. Equally, if not more importantly, parents can foster a culture of upstanders within the family. If we do this, children won’t have to work alone in bullying situations. How does being an upstander differ from being a bystander? A bystander is unable or unwilling to act. They often feel guilty for this. An upstander takes action and feels empowered. How does being an upstander differ from being a hero? We tend to think of heroes as people who act in big ways, who stand out, who are perhaps physically superior (superheroes) or larger than life. They might seem to have unique qualities that the rest of us could never have. This isn’t true. We can teach our kids that all of us have the ability to be heroes by acting in defense of those who are mistreated – by being an upstander. Why is creating a culture of upstanders important? It’s very difficult to stand up to a bully alone, much easier and more effective if done as a group. One of the reasons bystanders don’t act is because they don’t want to rock the boat or go against the norm. We all care about what our group thinks of us, so we tend to follow along. When we’re part of a crowd we also think someone else will step in to solve a problem. In a culture of upstanders, everyone in the group will recognize the injustice and will step up, as a group. An upstander in a group of upstanders feels safe and won’t have to act alone. Can we learn to be upstanders? Yes, we can. The first step to becoming an upstander is to learn about situations that might require our action. Researchers talk about fostering a “heroic imagination.” We can prepare ourselves by visualizing situations that would require our action and then imagining what actions we might take. How can schools create a culture of upstanders? 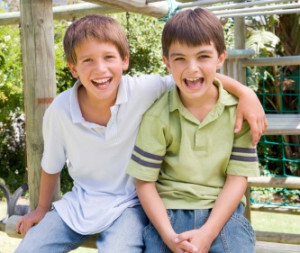 Bullying prevention programs need to talk about the many benefits when all kids are treated with respect and kindness. This takes the discussion beyond individuals to the classroom, sports team, drama group, playground, and to the greater good. Teachers need to know and talk about bullying, what it looks and sounds like, and how it affects everyone involved. They should be aware of emerging neuroscience that shows the brains of bullying targets can be permanently changed from the stress of being bullied. Children can be given concrete examples and chances to role play what to do if they encounter a bullying situation – tell an adult (a parent, a teacher, the police), be a friend to the bullied target, and, as a group, tell the bully that “we don’t treat people like that.” With this information, students and teachers will be more prepared when they have an opportunity to act. How can parents create a culture of upstanders? In my opinion, this is one of the most important lessons parents can give their children – to care about and care for their families, friends, other people in their communities and therefore, people everywhere. We are social creatures. We thrive on healthy connections to one another, and I believe that if our children have a sense of empathy for others, especially those who are vulnerable, they will succeed in every other way. So how can we raise empathic, caring children? Model the behavior yourself. Children are always watching and learning. We should never forget that. They hear us gossip about the neighbours, ridicule the teacher, grumble about the restaurant service, comment on the way people look or dress. And that’s just a start. Think about the badly-chosen things we’ve all said with our kids within earshot. Show empathy yourself – to your partner, your children, your colleagues at work, your friends and neighbours, to animals, to the environment. Use kind words, be fair and respectful, act on your beliefs, and don’t tolerate unfairness in your own home or community. Being kind, empathic and standing up for the rights of others becomes a habit over time and our children will learn how to do it, too. Everyone in the family will benefit from the positive atmosphere. Find opportunities to discuss being an upstander with your kids. Every day there are stories in the news that can be starting points. Examples are the role of famous upstanders such as Nelson Mandela or the way entire peoples are treated unfairly around the world. Closer to home, or with younger children, you can talk about how to befriend the boy down the street who no one wants to play with, or how your family can volunteer in the community. Have your kids ask “Why?” Why did Nelson Mandela do what he did? Why does no one want to play with the boy down the street? Why does the bully bully? Why are some people targets? I used to tell my kids that standing up for their friends – being an upstander – helps the bully as much as the target because bullies need to learn how to treat people fairly or they will have no friends themselves. It helps when kids can see the whole picture and understand that they have the power to help both the targets of bullying and the bullies, too. Schools and families can create a culture of upstanders by observing and examining events and situations in their own lives and in the community. Talk about upstanders in our personal relationships, in communities, in politics. Talk about why it’s important to defend those who are mistreated, and how to do it. Most importantly, be an upstander yourself. Show your children and students by example. Cheryl Jackson is an award-winning journalist who has interviewed experts and written on a wide range of topics that affect children and families, including health and development, education and communities. Cheryl has two decades of experience in television and radio production at CBC and TVO. 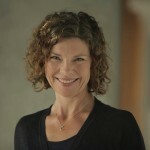 Her awards include Best Edu Parenting Blogger, MindShare Learning; Best Parenting Website, World Media Awards; Canadian Investigative Journalism Award for her three-part documentary on health care and Best Writer by the Saskatchewan Motion Picture Industry Association for a one-hour documentary on family farming. Cheryl is Chair of the York Centre for Education and Community Advisory Council and sits on the Advisory Board of the Third Street Foundation.